"Sweden is not satisfied that the outcome of the consultation process can be said to constitute the free and informed consent of the people of Western Sahara", the country formally explained its abstention in the EU Council vote on the Western Sahara trade scheme. The Summary Record of the EU Council meeting of 11-13 July 2018, when the incorporation of Western Sahara into the EU-Morocco trade Protocols was accepted by the EU Member States, the government of Sweden showed its critique to the EU Commission's approach to including Western Sahara in EU-Morocco trade. In its statement, the Swedish government stressed that the so-called 'consultation process' which the European Commission had engaged with does not fulfill the requirement of consent underlined by the judgement of the Court of Justice of the EU of 2016. "In view of the rejections to the consultation process and/or the draft agreement, and particularly the objections of Polisario, the official representative of the people of Western Sahara in the UN process, Sweden is not satisfied that the outcome of the consultation process can be said to constitute the free and informed consent of the people of Western Sahara", the Swedish statement reads. The consultations carried out by the EU Commission, after already having initialed a trade deal for Western Sahara with Morocco, and only included Moroccan and pro-Moroccan groups agitating for inclusion of Western Sahara into Morocco. Find the complete Swedish statement below or through this link [or download]. The move to include Western Sahara in the Morocco trade deal came on the back of the CJEU judgment of December 2016, concluding that no EU-Morocco trade or association agreement can be applied to Western Sahara, as Morocco has no sovereignty over the territory. The singular exception, the Court stated, to have such a trade deal affect a third party, is through obtaining the consent of the people of the territory. Since the EU first signed the current trade protocol (?) with Morocco in 2012, Sweden has been outspoken in that Western Sahara cannot be included in the deal, as it is a different territory. The EU Commission has never sought the consent of the people of Western Sahara through its UN-recognised representation, the Polisario Front. Instead, the Commission set up a consultation of a rather small sample of Moroccan economic operators and elected officials - while falsely claiming that the Polisario Front, and dozens of Saharawi civil society groups had also taken part. Among the list of 112 groups and individuals that the Commission presents as 'consulted' bodies, the name of Western Sahara Resource Watch appears together with 93 other organisations that had either never been invited to a consultation process or that had rejected taking part. Polisario is also included in the list - though the email correspondence between the EU Commission and Polisario documents that an informal meeting set up at the request of Polisario to engage the EU in trade negotiations following the CJEU judgment, has been misused to create the impression that Polisario had taken part in the consultation process. Nothing in the emails sent by the Commission hints of a consultation procedure. "We are pleased to note that the Swedish government takes adherence to EU Court judgments serious, and that it has called out the Commission for its shameful attempt to misguide the EU institutions with an unnecessary and unrepresentative consultation process where a simple question to the Polisario would have sufficed: do the Saharawis want this trade deal or not", says Sara Eyckmans of Western Sahara Resource Watch. Also the governments of Denmark, Ireland, Germany and Finland issued a joint-statement which underlined the need for the trade to respect the CJEU judgment. However, the quartet concluded that the Commission's approach was in line with that judgment. The statement did not explain which of the dozen Moroccan and pro-Moroccan groups that supported the trade were considered as representing the people of Western Sahara. "Sweden reluctantly notes the proposal to adopt Council Decisions relating to the signature and conclusion of the agreement between the European Union and the Kingdom of Morocco on the amendment of Protocols 1 and 4. When Sweden voted in favour of authorising the opening of negotiations on the adaptation of protocols to the Agreement between the European Union and the Kingdom of Morocco, Sweden made clear in its national statement that the basis for doing so was the understanding that a future agreement would be in full respect of international law, including the judgment of the European Court of Justice in Case C-104/16 P. Legal certainty is in the interest of all. The said judgment states that an agreement with Morocco covering the territory of Western Sahara must receive the consent of the people of Western Sahara. Consequently, Sweden made clear in the national statement that we understood “the people concerned” to be “the people of Western Sahara,” in line with the judgment. Sweden reaffirms that it is crucial that the people of Western Sahara give their consent to the agreement, and has noted ambiguities in the consultation process concerning whether the entities consulted can be defined as the people of Western Sahara. 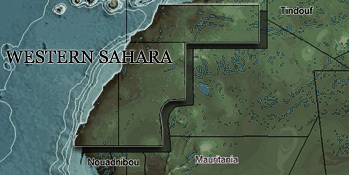 In view of the rejections to the consultation process and/or the draft agreement, and particularly the objections of Polisario, the official representative of the people of Western Sahara in the UN process, Sweden is not satisfied that the outcome of the consultation process can be said to constitute the free and informed consent of the people of Western Sahara." "Denmark, Finland, Germany and Ireland stress the importance of a strong political and economic partnership between the European Union and the Kingdom of Morocco. Denmark, Finland, Germany and Ireland underline the importance of complying with EU law, of which international law may be considered an integral part when entering into bilateral agreements. We have taken careful note of the “Contribution of the Council Legal Service on the Draft Agreement in the form of an Exchange of Letters between the European Union and the Kingdom of Morocco on the amendment of Protocols 1 and 4 to the Euro-Mediterranean Agreement establishing an association between the European Communities and their Member States, of the one part, and the Kingdom of Morocco, of the other part – consistency with the Court”. Denmark, Finland, Germany and Ireland have consistently emphasized that an agreement has to be consistent with the judgment of the Court of Justice handed down on 21 December 2016 in Case C-104/16 P.
We take the content and form of the Contribution as evidence that the Council Legal Service considers that entering into the presented agreement is fully consistent with the judgment of the Court of Justice handed down on 21 December 2016 in Case C-104/16 P and does not prejudice the status of Western Sahara. Denmark, Finland, Germany and Ireland continue to support the United Nations process to find a just, lasting and mutually acceptable political solution for Western Sahara. On the basis of the above, Denmark, Finland, Germany and Ireland support the adoption of the Council decision on the amendment of Protocols 1 and 4 to the Euro-Mediterranean Agreement."